Brookhaven, GA has its origins as a summer retreat for Atlanta's upper class in the early 1900s. But, as the summer cottages gave way to more of a permanent community, the area began to grow around the luxurious Capital City Country Club and it soon became one of the state capital's most prestigious suburbs. That designation continues today. As evidenced by Southland's custom home builders, Brookhaven's prestige and allure hasn't faded. Located in north-central Georgia just under eleven miles north of Atlanta, Brookhaven sits in idyllic DeKalb County, home to some of the most beloved attractions in the region. With so much to see and do in and around Brookhaven, it's no surprise that the community continues to draw families from all over the country looking to relocate to a more enjoyable lifestyle. Brookhaven has a natural beauty about it that is well represented in the city's abundant parks system. Home to eleven parks, Brookhaven offers an endless variety of outdoor recreational pursuits, including hiking, biking, soccer, tennis, basketball, and more. The nearby Arabia Mountain Heritage Area and Stone Mountain Park offer even more opportunities to commune with nature. 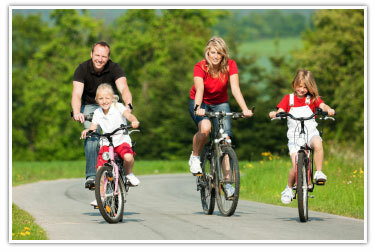 Brookhaven's residents are conveniently positioned to take advantage of al of DeKalb County's attractions. Popular places to visit for arts and culture include the Fernbank Museum of Natural History, the Michael C. Carlos Museum, the Callanwolde Fine Arts Center, Eddie's Attic, and The Porter Sanford III Performing Arts and Community Center. The county also offers up a rich selection of shopping and dining experiences. From the DeKalb County Farmers Market to Town Brookhaven and Northeast Plaza, the opportunities to shop are abundant and diverse in the Brookhaven area. As for your dining choices, your selection ranges from popular chain restaurants to locally-owned and operated fine dining establishments, coffee shops, cafés, bakeries, and bistros. As if Brookhaven's local attractions aren't enough, residents of this community also enjoy easy access to Atlanta's world-class attractions, events, and amenities. From local professional sports teams to major concerts from today's biggest artists to Broadway-style theatre presentations, the local event calendar is filled with opportunities to enjoy a remarkable experience. Of course, then there's premium attractions like the Georgia Aquarium, the CNN Center, the World of Coca-Cola, and The Martin Luther King Jr, National Historic Site, among others, to add even more things to see and do. Buying a new home in Brookhaven, GA is not so much as buying a new home as it is gaining a new lifestyle. With so much to see and do in and around Brookhaven, you will never have a dull moment. Along with its abundance of attractions, DeKalb County enjoys a strong economy and a healthy real estate market, making Brookhaven an excellent place to raise a family or start a business. If you are looking to relocate to the Atlanta Metropolitan area, then having a new home custom-designed and built by Southland's builders in Brookhaven can help give you the new home to match your new lifestyle. With over 100 floorplans to choose from and an array of top-of-the-line interior appointments, Southland Custom Homes is among the top-rated custom home builders in Brookhaven, GA. In addition to providing a huge selection of plan options, Southland Custom Homes will work with new homebuyers to alter specific floorplans so that the finished project is exactly what the buyer wants. If you are looking for a custom home builder in or near DeKalb County, then Southland Custom Homes is sure to meet and exceed all of your expectations.